The beat ’em up style of games have always been one of my favorite kinds of game to play. They always provide me with satisfyingly fun and fast paced action. Now a new fast paced beat ’em up, Mr. Shifty, is on the horizon. I recently had the opportunity to play through the first 7 stages and it really impressed me with just how fun and frantic it is, while also bringing some new things to the genre. 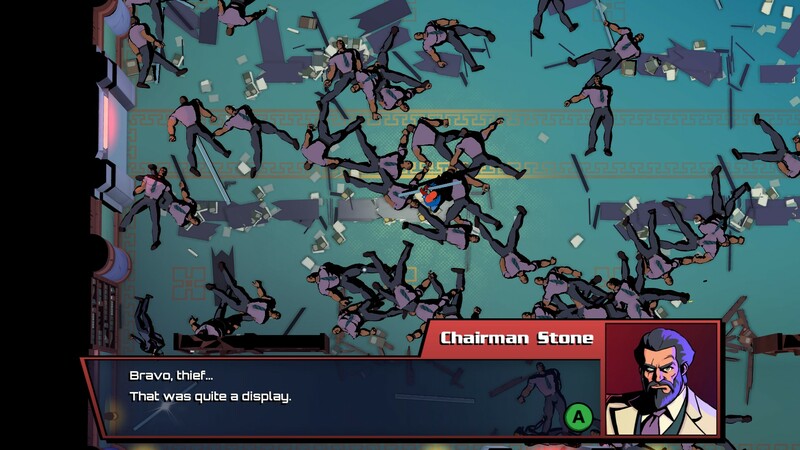 Mr. Shifty is a top down perspective beat ’em up that takes place in what the game refers to as the world’s most secure facility. 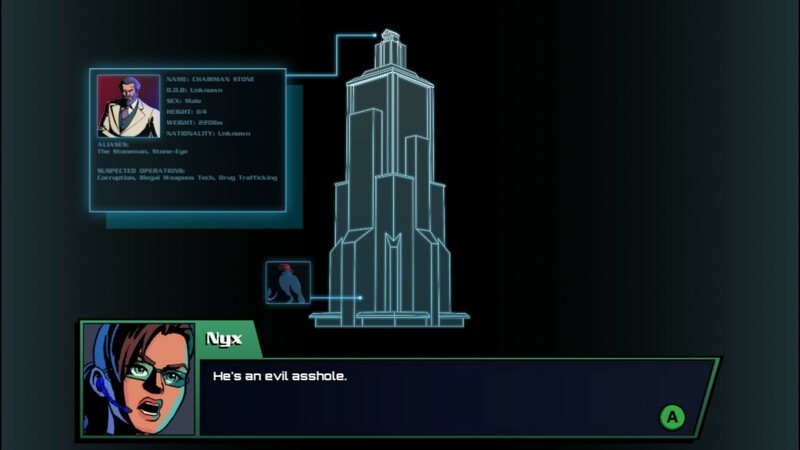 You’ll be playing as Mr. Shifty, a character with a very interesting ability to “shift” through almost anything. This ability lets him essentially move through walls and zip around foes lightning fast. With abilities like this, breaking into the world’s most secure facility should be no problem! The story isn’t really the focus, but there are scenes at the beginning and end of every level to give you some perspective and a goal. It works well for what it is rather than just sending you through different levels with no context. 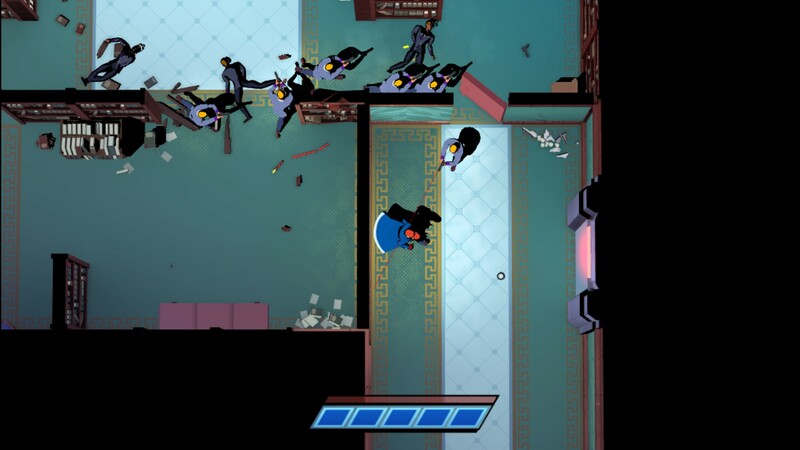 The actual focus of Mr. Shifty is its incredibly fun action, and your ability to “shift”. Combat plays out very much like many brawlers, punching waves of enemies with your fists, destroying objects to get super strong weapons and devastate your enemies for a short period before the weapon breaks. The catch is, you die in one hit no matter what. That may sound annoying at first glance, but thanks to the brilliance of the shift mechanic, it’s incredibly fun and makes Mr. Shifty an awesome adrenaline rush. At the bottom of the screen are 5 blue squares, which represents how many times you can shift, which is Mr. Shifty’s equivalent of dodge rolling, but it’s also so much more. When you shift around in this game, you disappear off screen and frantically move in whatever direction you’re holding the analog stick. It makes for some intense battles when there are 20 enemies in a room, and all of them are equipped with guns. With the shift mechanic, you can not only dodge around enemies, but you can also dodge through walls and book cases. This makes for some incredibly fun battles, as you can trick your enemies into thinking that you’re in a room, and then shift through the wall in to another room and sneak up behind them. 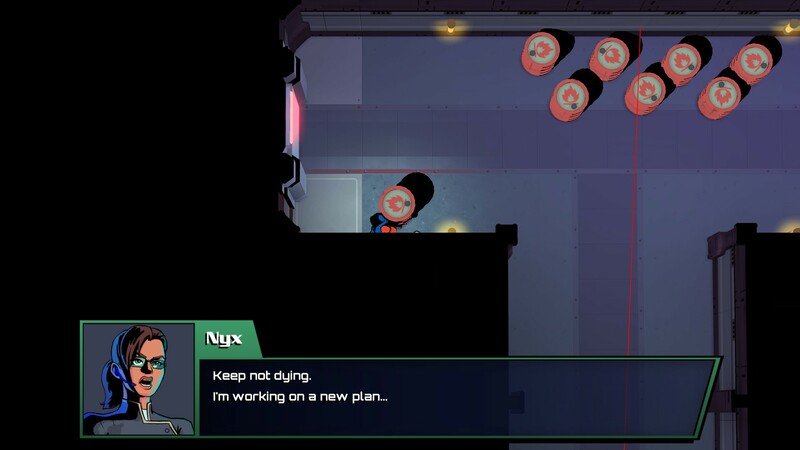 One of my favorite things to do in the game was to knock on a wall and get a few enemies’ attention, shift through the wall to the room they were just in, and run back in the room and knock them out before they even realize it. Mr. Shifty loves to throw you into many situations that may feel overwhelming at first, but the way the shift mechanic works makes it all flow so well. This game really does throw a lot at you, and it’s awesome. There are some segments in the game where you also will need to use your shift ability to dodge lasers as well as try your best to dodge an onslaught of enemies and explosive barrels. This entire segment was so much fun, and really showcased the shifting ability and all the neat things that can be done with it. Explosive barrels are all over the place, and so are enemies with guns, as well as instant death lasers following your trail. It’s a challenging segment, but it’s also one of my favorite moments that I had so far with Mr. Shifty. Adding to the already awesome action is just how destructible the environments are. Almost everything can be destroyed. Windows, bookcases, tables, and many other things in the environment can be destroyed. Sometimes destroying a table will give you a wooden plank weapon, and sometimes when you destroy a window, you can actually punch an enemy through it and let them fall to their doom, and it feels so amusing. Right above the bar for your shift ability is another bar that fills up after you successfully dodge and attack enemies just before they’re about to hit you. Once this bar is full, time stops, leaving you free to defeat as many enemies as you can before the bar is depleted. This is a very fun mechanic and combined with shifting, it just looks so cool and satisfying to execute. The sound design in Mr. Shifty is also great. Every time you hit an enemy, no matter what weapon you are using, it always sounds satisfying. The sound emphasis on your attacks is strong, as I would expect from a beat em up. Strangely, even the sound design when you get hit and are defeated is satisfying. Whenever you get hit and die, the game goes into a quick bullet time slow down and it just looks and sounds really cool. The music is also very appropriate, featuring some awesome rock music to make the action feel even more frantic and fun. You can try to keep not dying, but this game is actually pretty challenging. Mr. Shifty is such a fun brawler with really simple, but awesome mechanics like shifting really change the game up enough to really make it stand out from other games that came before this. I absolutely recommend checking Mr. Shifty out when it releases. Mr. Shifty will release sometime in 2017 for Playstation 4, Xbox One, PC, Mac, and also recently announced for the Nintendo Switch! Ashley is an IT professional who has a passion for Japanese RPG's and survival horror.